The Jamaican Rugby League team roll into town this weekend ahead of their international match on Sunday 16th October at 3pm against an Irish team buoyed by recent wins over Italy and Malta. This will be the first meeting of the teams at full international level and Jamaica will be keen to put down a marker against a strong Irish team before they take on Wales the following week. 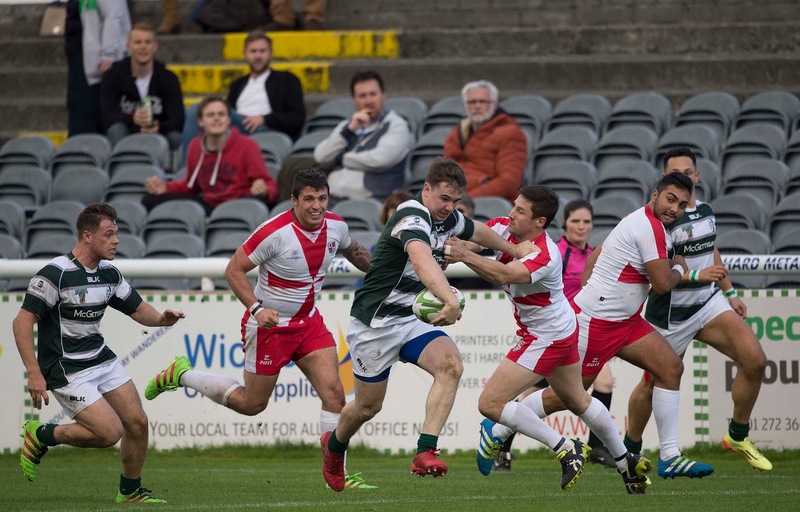 Richard Egan RLI Director said: “Having the opportunity to play against Jamaica is something we are relishing at RLI. We have never met before at this level but are keen to support their own development as we have with our own domestic players in recent years. This Jamaican team will take great confidence from their recent games against USA and Canada. We don’t know what to expect from our guests but we do know they will have explosive speed and power and bring a huge spectacle to Bray. 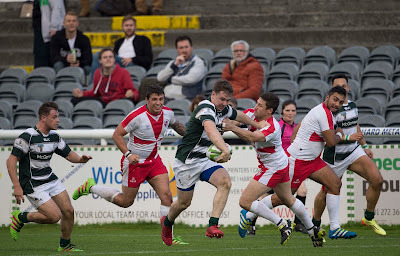 Last weekend Ireland beat Malta 56-10. Following the game seven players from that match were named in the World Cup Qualifying Squad that will take on Spain and Russia. With the exception of Domestic Team Captain Casey Dunne, who is been rested for this match, the remaining six have been named in the panel of home-based players who will face Jamaica in this friendly international at the Carlisle Grounds in Bray this Sunday. The Irish team will be captained by Rugby League veteran Wayne Kerr who will be retiring after the game from international rugby. Part of the 2008 World Cup Squad he previously played for London Skolars and Carlow Crusaders. Carl De Chenu, domestic squad coach, said “We're expecting Jamaica to be a serious step up in class from any team we've faced before. Our boys are relishing the opportunity to test themselves against a squad of entirely professional players plying their trade in the UK. We've been steadily improving as a team and this will be a true test of how much we've developed. "We'll make a few changes to the team as some of the lads will be involved in next week’s World Cup qualifier against Spain and need a rest. Senior International and Captain Casey Dunne will be one of those lads so we'll give him a week off. Wayne Kerr who has been a true legend of Irish Rugby League will take over as captain for his last ever International. Wayne plans to retire and join the coaching staff of our Student team to pass on his wisdom to the next generation of Irish stars"
Both teams will host their captains run at the Carlisle grounds this Saturday which will be followed by the teams having a walkabout in Bray. It promises to be a colourful affair for the Wicklow town. Tickets for the game will be available at the grounds. Ireland squad to face Jamaica (kick-off 3pm): Rob Armstrong (Cork Bulls), Adam Boyce (Belfast Met Scholars), Sam Boyd (Belfast Met Scholars), Onisi Burekama (Ballynahinch Rabbitohs), Matt Cahoon (Belfast Met Scholars), Adam Doherty (Portadown Pumas), Gareth Gill (Ballynahinch Rabbitohs), Chris Hall (Belfast Met Scholars), Jordan Hylton (Selected through domestic trials) & (Cardiff Metropolitan University), Paddy James (Ballynahinch Rabbitohs), Shane Kelly (Longhorns RL), James Kelly (Dublin City Exiles), Wayne Kerr CAPTAIN (Longhorns RL), Conor Mackey (Galway Tribesmen), Matt McKelvey (Belfast Met Scholars), Alan McMahon (Galway Tribesmen), Connor Phillips (Ballynahinch Rabbitohs), John Purdy (Portadown Pumas), Mikey Russell (Dublin City Exiles).